Have you ever felt that The Nether was too boring with nothing to do in it? Then this mod is for you. NetherX is a large mod made to add more challenges – and rewards – to The Nether, and yet still feel like vanilla. Be warned though, The Nether is harder than ever before, with new monsters looking to tear your face off… This mod adds new ores, mobs, tools, armor, a new liquid, and much more – even a way to obtain water in The Nether! 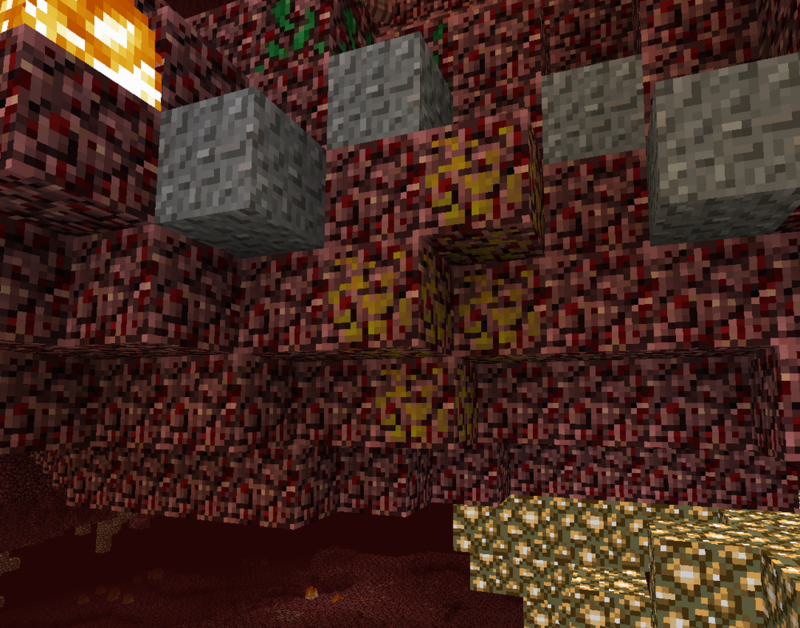 Three new ores have been added to The Nether; Ichorite, Venomite, and Necromite. 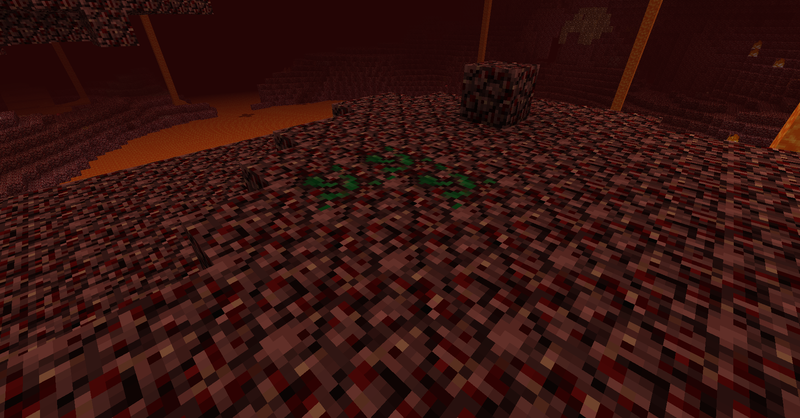 Ichorite Ore is a common – yet powerful ore added to The Nether. When mined, it drops an Ichorite Shard. Ichorite Shards can be used to obtain water (see below) and can also be used to extends potions (like redstone) and/or as fuel (this feature will be removed when the fueless Nether Furnace is added). Venomite is the iron of The Nether. It’s based around poison, so a Venomite Bucket can hold poison, a Venomite Sword gives poison damage to whatever you hit, and Venomite Armor gives poison immunity. It is generally quite common. Necromite is the diamond of The Nether, and the rarest ore added with NetherX. It’s based around withering, so a Necromite Sword gives the withering effect to whatever you hit, and Necromite Armor gives withering immunity. It is quite useful when fighting the Wither. 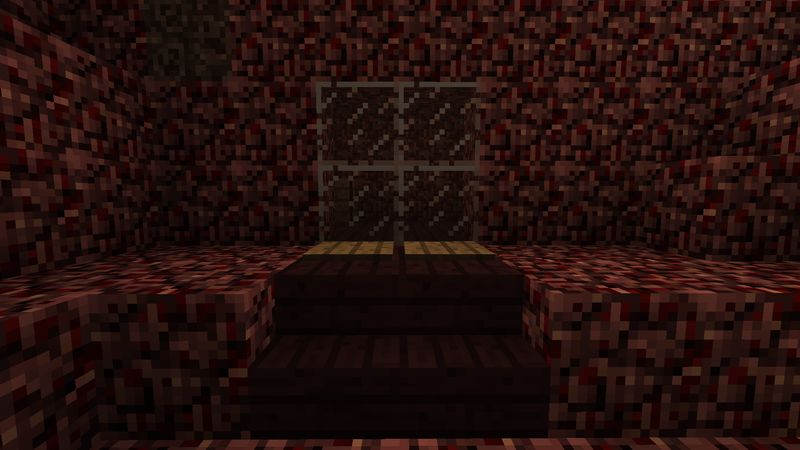 Magma is a common block now found in The Nether. 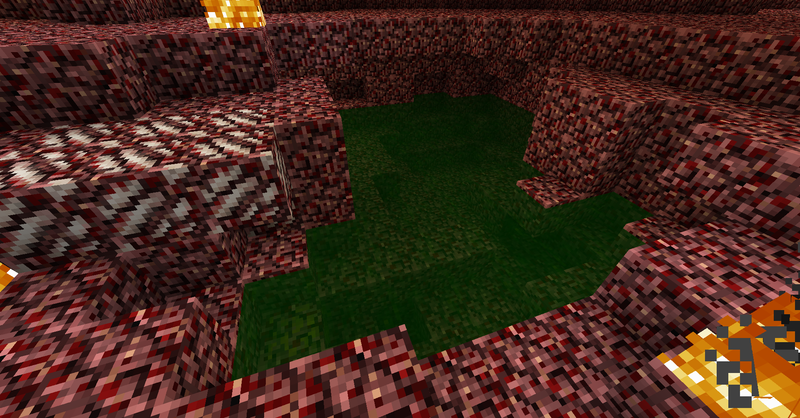 When mined, it turns into lava the same way ice turns into water. It also gives off a small amount of light. 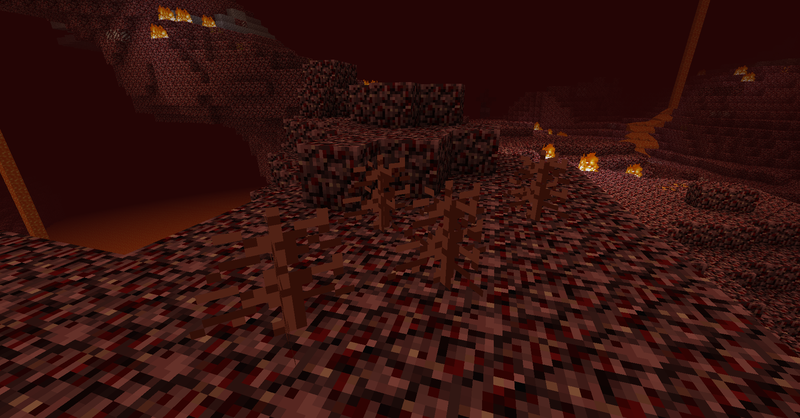 Netherthorns now dot the surface of The Nether, damaging any mob that comes into contact with them. They can make very useful traps for mobs. 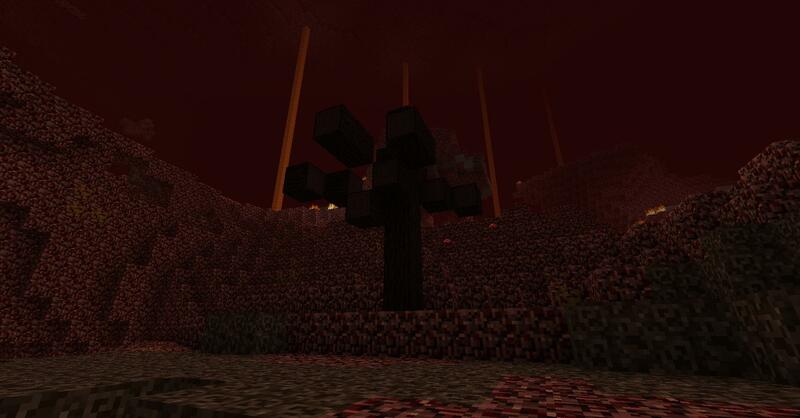 Unlike other mods, which add living growing trees to The Nether, NetherX adds the long dead Vilewood Trees to The Nether. They can be made into planks, sticks, chests, doors, etc. and most importantly, wooden bowls, mushroom stew being one of the best foods to have in The Nether. 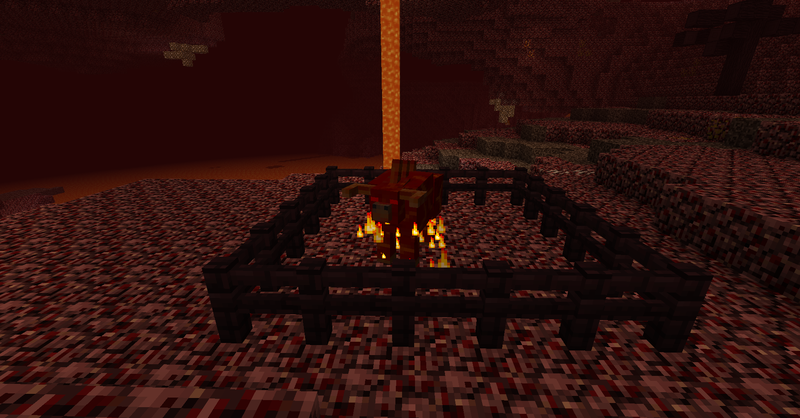 Be warned though, wood is not a renewable resource in The Nether (due to the lack of saplings) so use it wisely! Credits to TDWP_FTW, maker of Biomes O’Plenty for help with generation. Soul Glass is a unique block obtained from smelting Soul Sand. Apart from being able to make glass bottles and windows, when powered, it and all soul glass blocks above it can be walked through. 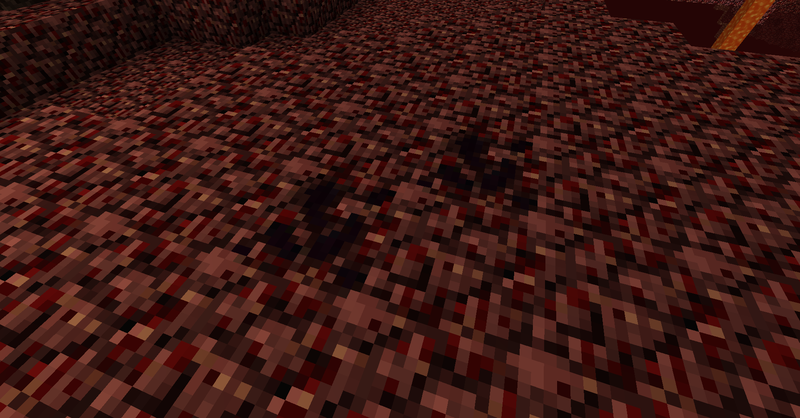 Also, Obsidian can now be found in The Nether, in Obsidian Beaches. There are many other blocks added with this mod, but as this post is getting long, you will have to discover them yourself! 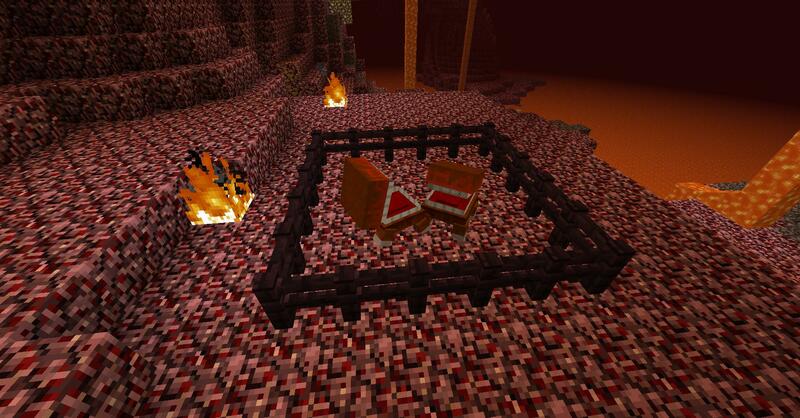 Gluttons aren’t the only mob added with NetherX, but they are certainly the hungriest! They will eat any food out of your inventory when attacking, except golden foods and spider eyes. They will also eat sugar, in fact they will prioritize eating sugar to any other food! A good trick to defeating them is to have poisonous potatoes in your inventory (make sure to have no other food or sugar, as the glutton will eat that food instead) and let them hit you. They will get poisoned from the potato! Credits to Firehazurd for the idea. Thanks to WeirdODude for an amazing model! Another new mob is the Blazing Charger. These mobs will launch you in to the air, making you take falling damage as well as attack damage. It’s a lot safer to attack these mobs with a ranged weapon then melee weapon. Again, thanks to WeirdODude for another amazing model! 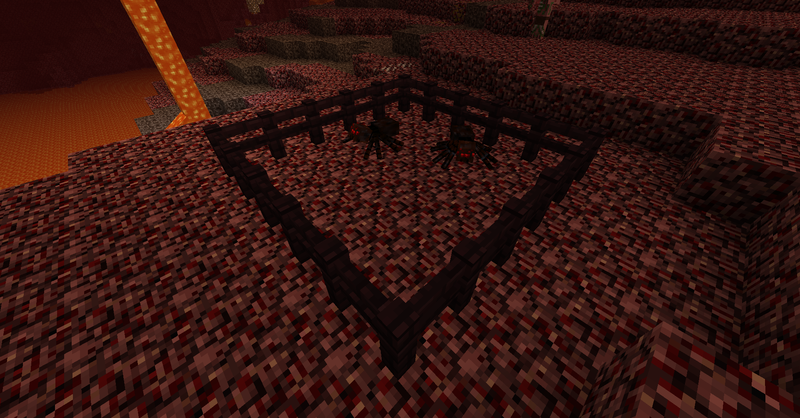 Nether Spiders behave almost exactly like Cave Spiders, except for an increase in poison damage and a decline in HP. They add a way to obtain bows in The Nether (arrows can be obtained from skeletons) and Spider Eyes, which are needed for Potion of Weaknesses. Pigman are the only mob that does not spawn naturally with NetherX, and the one you would most likely want to meet. They are created by throwing Potions of Weakness on naturally (This is a glitch. Zombie Pigmen that have been spawned with a spawn egg cannot be converted. If you know anything about Forge Hooks, PM me to help fix this glitch) spawning Zombie Pigmen, and then giving them a Golden Carrot will start the conversion progress into Pigmen. Pigmen will attack any agressive mob except creepers, and are very useful for defending your house. First find a Poison Lake. They are quite common and can be found almost anywhere in The Nether. Second, craft a Venomite Bucket out of Venomite Ingots (in the same way you craft a bucket out of iron). Thirdly, pick up some poison with your Venomite Bucket. 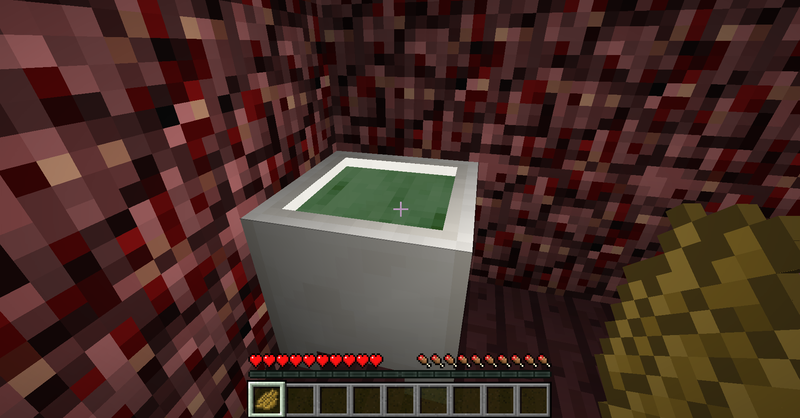 Then, craft a Crystal Cauldron (same recipe as cauldrons, only with Nether Quartz instead of Iron) and fill it with poison. Finally, right click on the Crystal Cauldron with an Ichorite Shard to purify the poison into water. Venomite tools, Netherack tools and Necromite tools out of Venomite Ingots, Netherrack, and Necromite Gems respectively. 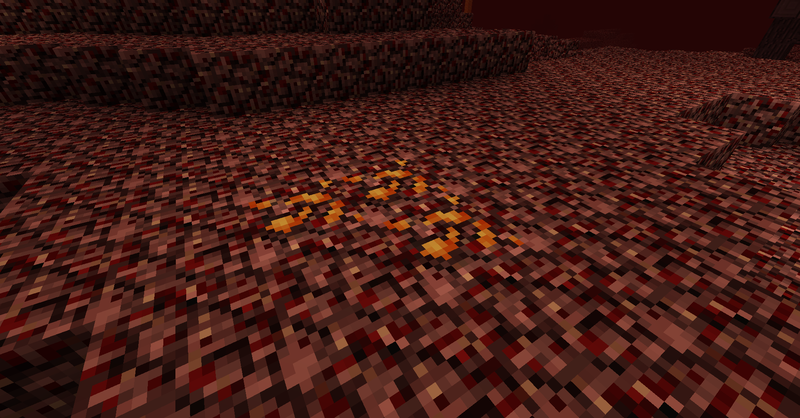 Glowstone Torches are obtained by crafting a torch but with Glowstone Dust instead of Coal. Soul Glass is obtained by smelting Soul Sand. Netherbombs (you have to check these out) are crafted like TNT but with Soul Sand instead of Sand, and Venomite Buckets and Crystal Cauldrons are made out of Venomite Ingots and Nether Quartz respectively in the same formation as buckets and cauldrons.